Der Artikel Active Learning from Infancy to Childhood wurde in den Warenkorb gelegt. 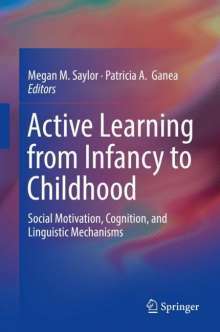 This book presents new findings on the role of active learning in infants' and young children's cognitive and linguistic development. Chapters discuss evidence-based models, identify possible neurological mechanisms supporting active learning, pinpoint children's early understanding of learning, and trace children's recognition of their own learning. Chapters also address how children shape their lexicon, covering a range of active learning practices including interactions with parents, teachers, and peers; curiosity and exploration during play; seeking information from other people and their surroundings; and asking questions. In addition, processes of selective learning are discussed, from learning new words and trusting others in acquiring information to weighing evidence and accepting ambiguity. Topics featured in this book include: Infants' active role in language learning. The process of active word learning. Understanding when and how explanation promotes exploration. How conversations with parents can affect children's word associations. Evidence evaluation for active learning and teaching in early childhood. Bilingual children and their role as language brokers for their parents. 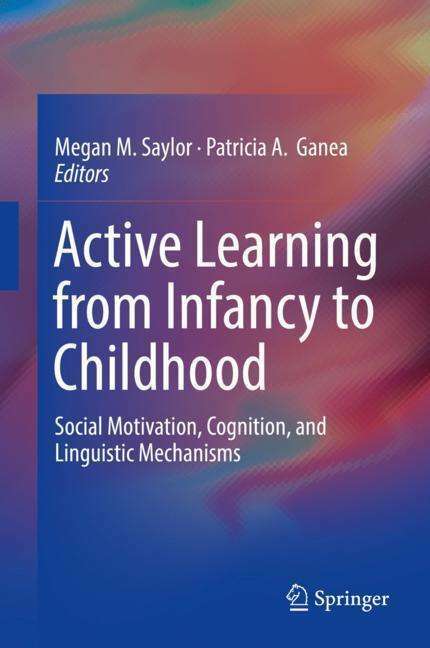 Active Learning from Infancy to Childhood is a must-have resource for researchers, clinicians and related professionals, and graduate students in developmental psychology, psycholinguistics, educational psychology, and early childhood education.